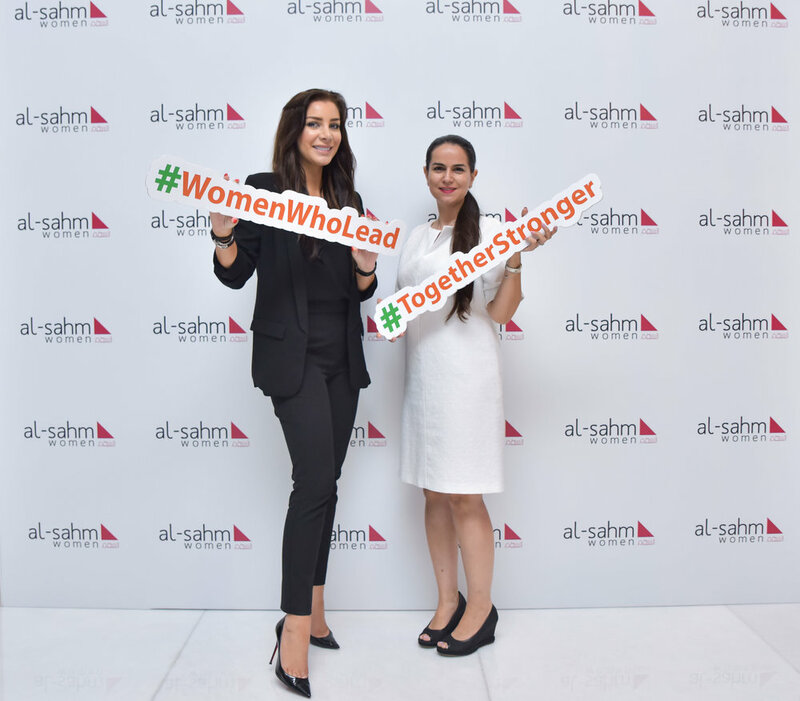 Come join Al-Sahm Women in Dubai at the beautiful Oberoi Hotel to attend a two day conference on Women Who Lead in the MENA region. We have a fantastic list of women who are leaders in their industries, and who will discuss some of the industry-specific problems they face each day. 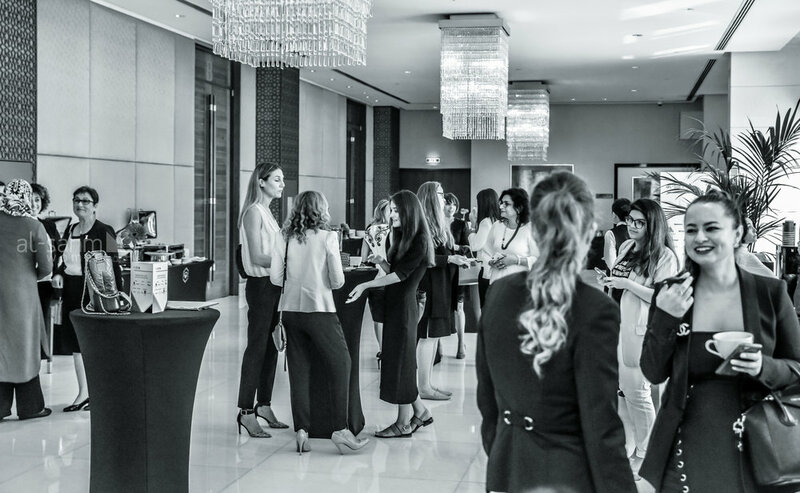 There will be something for everyone there and many opportunities to network and explore how women are making waves in your industry. 07:00-17:00 Exhibition Hall Open - Focus on Health and Wellness. Come join us in the hall for Yoga and Meditation, Running Clubs, Spa Treatments, and Finding Your Best Work Method. Join us starting at 8:30 am on Friday 5 October 2018. The event is free, and while our Gala Dinner is invitation only, we still have a couple tables left - reach out for a seat for a complimentary networking dinner! 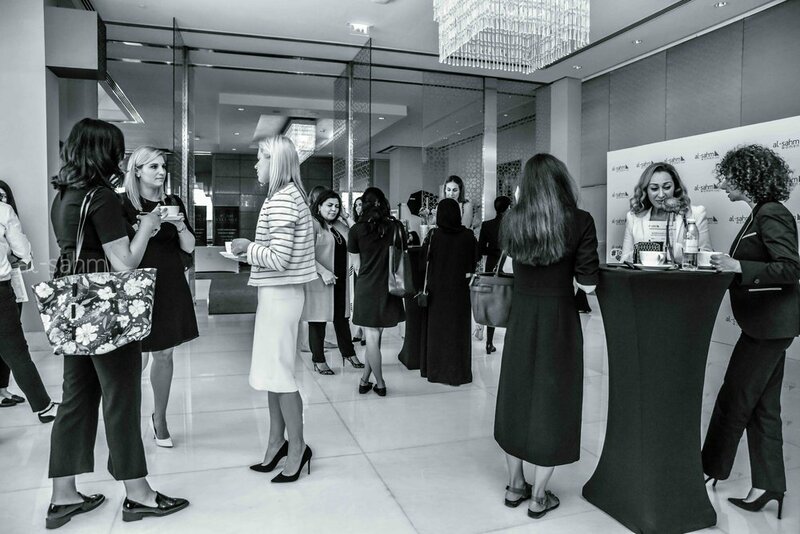 We are looking forward to having you with us, and can't wait to see what you can bring to a community of women in the MENA region. 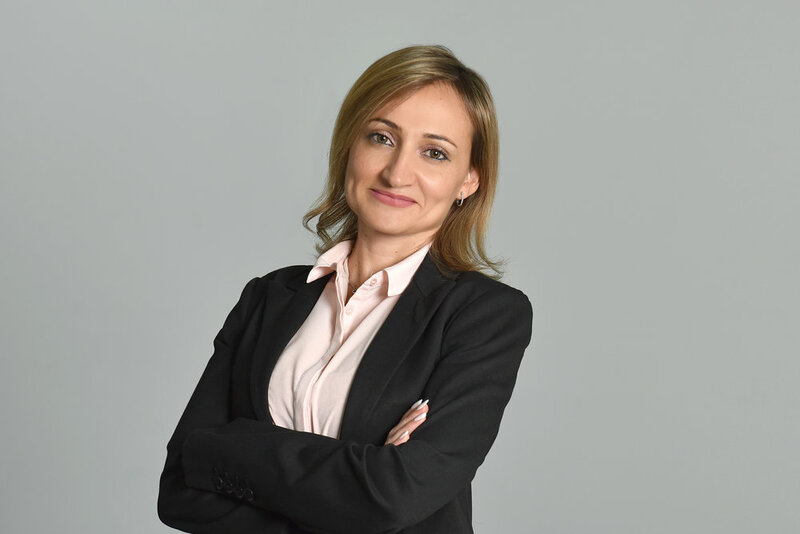 Dr. Najat Benchiba-Saveniusis Founder and Director of Gazelle Advisory Group, a GCC-focused firm based in London that bridges the gap between private equity funds and Arab family offices across the Gulf region and beyond. We have a wealth of experience in Arab family offices as well as deep-seated expertise in GCC-related businesses, namely: Saudi Vision 2030, GCC diversification away from the hydro-carbon sector, entrepreneurship and start-ups in the MENA region, launching Arab female talent, and advice on launching conferences across the GCC. Najat has proven consulting experience across various sectors and industries in Europe, North Africa, Asia and the Middle East. Najat completed her undergraduate studies at the University of Durham, a Master's degree at the University of Oxford, and another Master's degree and Doctorate at the School of Oriental and African Studies, London. Najat has published widely and is also public speaker in the UK and the GCC where she covers topics from oil diversification, family offices, women in finance and general social and economic issues. With over 20 years in public policy, government affairs and strategic communications, Raeda has managed and delivered successful campaigns and outreach to support business growth across various communications channels and industry sectors including advanced technology investments, capital markets, telecoms, healthcare, and government. She started her career as a diplomat in Washington DC at the Embassy of Jordan, after which she served as Media Officer for Queen Rania of Jordan for six years. Raeda is an advocate for advancing women in the workforce through measurable and practical strategies that target attraction, promotion, developing and retention of women. She serves on the steering committee member to the 30% Club GCC, a multi-sector volunteer effort aimed at increasing women representation in C-Suite positions and on boards, delivering on a work culture where diversity and inclusion are an essential strategy imperative for business growth and good governance. Raeda holds an M.Sc. in Engineering Management from the Catholic University of America, and a B.Sc. in Chemical Engineering from the University of Jordan and has completed a one-year executive leadership program with the Haas School of Business, University of California- Berkeley. She is also a certified Executive Coach. She was awarded The Independence Medal by His Majesty King Abdullah II of Jordan in 2002 for outstanding service to the country. Yamna is a techpreneur with 5 years of experience in the digital and startup world. She is currently the founder of an employee benefits platform, PerksPlus (www.getperksplus.com) as well as consults with many women-led startups and SMEs on their digital strategy. With a background in Electrical and Computer Engineering from Carnegie Mellon University, Yamna has managed teams that have built digital products and led social media strategies for government organizations, MNCs, SMEs and startups. Additionally, she has been featured in ArabianBusiness, The Entrepreneur and Forbes ME as a young female founder. Passionate about teaching, Yamna trains women in digital and social media skills so they can effectively use these tools to grow their respective businesses. You can also find her at her favorite Mexican restaurant chatting away with friends and family while sipping a glass of Coke Zero (with extra ice obviously!). She is an avid reader who is a little obsessed with Jane Austen's Emma, the Harry Potter series and Agatha Christie novels. Her favorite way to end the day is by watching cliché Hallmark movies or crime thriller shows on Netflix. Abeer Elsisi is a co-founder at elves, a chat-based concierge service that's taken Egypt by storm over the last year. Elves is built at the intersection of bots and real people; and services the global market. Abeer handles the operations and anything customer related, any human aspect of the business. Elves is Abeers second startup. The first, founded in her teens, ended up employing hundreds of people with offices globally. 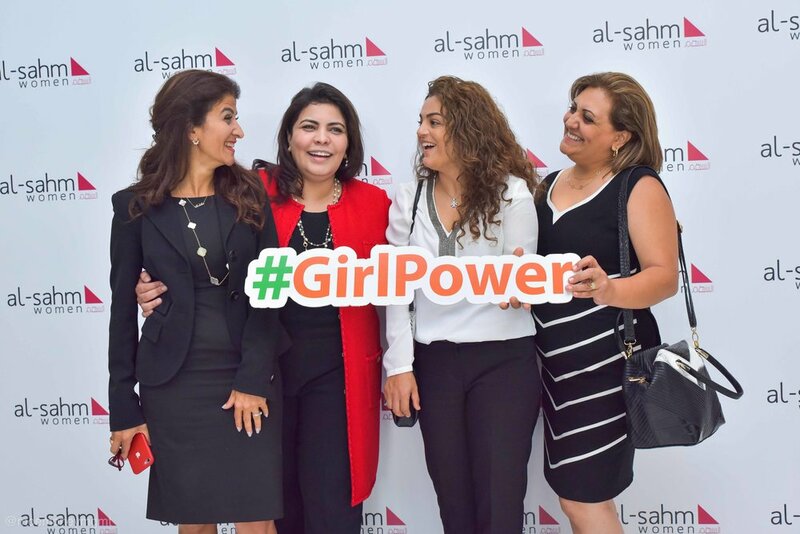 Thereto she was responsible for the recruitment, management, acceleration, and development of a large crew of dedicated young Egyptians eager to be a part of something big. With more than 14 years’ extensive international tax and VAT experience, Sophia has advised international corporations, financial institutions, private equity funds and HNW families. She has worked extensively across many complex issues and territories, gained in both in “BIG 4” practices and major law firms such as Ernst & Young, KPMG and Baker McKenzie. Moreover, Sophia has advised and coordinated complex regional tax advice for international companies that intend to invest in the Middle East and Africa on cross-border transactions and tax restructuring. Sophia was born in Paris and is of Moroccan heritage. She holds three Master’s Degrees including a Master’s Degree in International Tax from the Sorbonne University. Publications & Speaking engagements: Have been speaker in various conferences in Europe, Middle East and Africa and published newsletters as well as handbooks related to Luxembourg and UAE tax matters. Invited to speak several times on UAE radios (Dubai Eye and Virgin Radio) on new VAT developments. Founder and Managing Partner of AfricaDev Consulting, Ltd.
Najwa El Iraki is the Founder & Managing Partner of AfricaDev Consulting Ltd, a business development and financial advisory firm. She is also the Managing Director in Morocco for Opportunity Network, a global fintech matchmaking platform headquartered in London that connects CEOs worldwide for business opportunities. Prior to this, she was the Head of Business Development at Casablanca Finance City Authority (CFCA), a public- private held organization dedicated to positioning Casablanca as a regional financial center and a premier gateway into African markets. Najwa structured the project from its inception, contributing to the overall strategy for building a regional business and financial centre, advising institutional prospective investors and attracting 130 international companies. Previously, she was Senior Manager within Mazars’ Financial Services Group in London. She was responsible for a team providing business advisory work and financial strategic planning across the banking, insurance and funds sectors. A role she took on after working within both large international investment banks (Lehman Brothers/Nomura) within their EMEA equity derivative business and a big four firm (KPMG London) advising financial institutions and corporates in various consulting areas including tax, corporate finance and restructuring. Najwa has accumulated close to 15 years’ experience and holds a Master’s degree in Business Management and Finance from leading French and British business schools (Kedge Business School & Aston Business School). She is a qualified Chartered Accountant, member of both international accountancy and UK tax leading professional institutes (ICAS & ATT). She holds a certificate in leadership management from Harvard Business School. She is also actively involved either as a co-founder or a member in a number of business associations and networks in Africa. Najwa was named among the 60 most influential women in Africa in 2016 by “New African Woman Magazine" as well as Financial Advisor North Africa of the Year 2016. Executive and Fulfilment Coach. Corporate Trainer. Speaker. With more than 18 years of extensive experience in corporate business HR, talent management and coaching, Katia has been a strategic partner and a change agent, supporting leaders to execute their people strategy and striving to translate people principles into innovative solutions that serve both the business and the people. Her mission is to equip corporates and individuals with practical tools to grow talents on a professional, personal and leadership level. Tools that will put them on the future leaders’ path in the new economy. Katia was born and raised in Egypt. 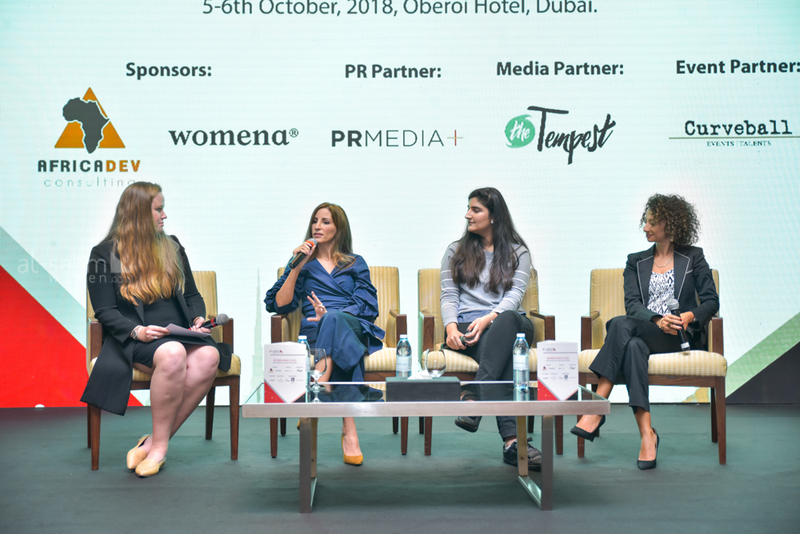 In 1999 she moved to Dubai and progressed through her Business HR career with reputed multinational organizations such as PwC, Dow Chemicals and Serco. In 2009 she was nominated, together with 20 other Arab citizens from the region, to join the YAL (Young Arab Leaders) exchange business program between UAE and the United States where she spent 3 weeks in the US raising awareness about the ME culture and promoting business opportunities in the region. While working in Dow Chemicals she received a global company as the “Human Element” for her volunteering and coaching work in some of the less privileged communities in ME and Africa. In 2018 she provided individual speed coaching for delegates during the Happiness festival, which was sponsored by the Ministry of Happiness in the UAE. Katia holds a BA degree from Ain Shams University, HR Management Diploma from Leicester University and Professional coaching Certification from CTI, with ACC accreditation from ICF (International Coaching Federation). Today Katia is a full time bilingual Executive Coach and Corporate Trainer. Mashal Waqar is the co-founder and COO of The Tempest (thetempest.co), an award-winning trailblazing digital media and technology company that enables women globally to see, feel, and truly claim their voice – and power. Reaching millions around the world, The Tempest reaches an audience made up of determined leaders, creators, doers, and dreamers who are smart and passionate, always seeking out the full potential in every aspect of their lives. An advocate for change since her undergrad years, where Mashal served as President of RIT Dubai's Student Government, she progressed from impacting students at her alma mater, to impacting millions of women around the world through her work to bring accessibility, diversity, and inclusion to the forefront. She's leading the accessibility pivot at The Tempest to make online content accessible. She won the WIL Economic Forum 2017 Young Leader of the Year award for her work in media. Mashal has been quoted and published in over twenty national and international media outlets including Euro News, BBC Minute, Forbes Middle East, Entrepreneur Middle East, Khaleej Times, Gulf News, and Emirates Women, for her entrepreneurial and accessibility advocacy. Mashal has been recognized for creating a security platform to secure IoT devices, and for working with UNHRD (in partnership with RIT Dubai) to create a mental app for children in crisis from a behavioral and neurological perspective. Mashal is a strong supporter of the startup ecosystem in the region, and mentors startups at Sharjah Entrepreneurship Center and StartAD, and aspiring entrepreneurs at Startup Weekend and Unwind the Grind. Nadine Mezher is the Co-founder and CMO of Sarwa, the first automated investment advisory platform in the region. 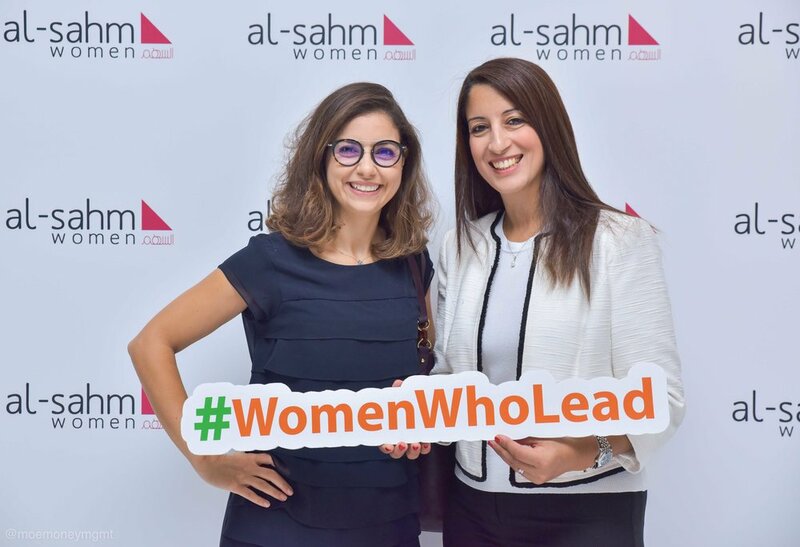 Nadine co-founded Sarwa after years of experience in marketing and communication strategy with a track record of successful projects delivered for clients ranging from startups to government entities and large scale companies. 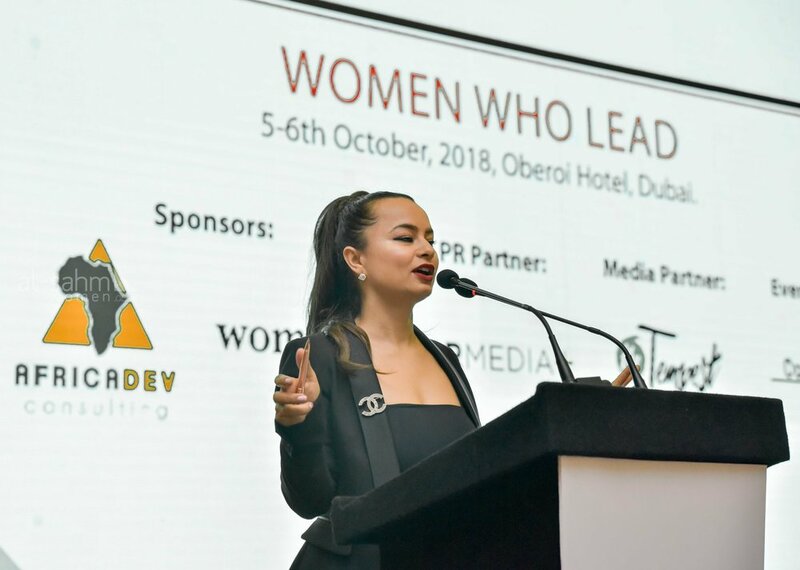 Prior to that, she worked for Dubai Tourism and Commerce Marketing, Government of Dubai in retail strategy and strategic alliances, as well as festivals and events development, where she lead the management and development of citywide festivals. Nadine holds a Bachelor of Business Administration/Marketing from the American University of Beirut, as well as a degree in design from Esmod Paris. Nancy is founder of The Red Chair, a platform for raising consciousness and pushing boundaries around topical issues. Educated at both McGill University and the London School of Economics with an MA in International Relations, Nancy began her career as a corporate banker, then later progressed into the world of communications working with some of the largest public and private sector institutions in the MENA. Today, she continues as an independent consultant in the realm of mentoring, emotional intelligence and motivational speaking. A Certified Practitioner of Neuro Linguistic Programming (ABNLP), Timeline Therapy™ and Hypnotherapy (ABH), Nancy holds regular classes, workshops and retreats in mind-body wellness and yogic science. An active Kundalini Yoga Instructor with the Kundalini Research Institute (KRI), she is a member of the Kundalini YogaWellnessand Health Association, supporting and helping to facilitate Beyond Addiction, an internationally-recognized recovery program for addiction. In addition to her current training in the psychotherapeutic modality of Compassionate Inquiry, Nancy is working toward an internship with the academy (KRI) and developing mindfulness initiatives for both schools and corporates. Married with three children, Nancy moves frequently between Dubai, Toronto and London. Mrs. Habiba Al Marashi is the Chairperson of the Emirates Environmental Group, President of the Arabia CSR Network, Vice Chair and Founding Member of the Emirates Green Building Council, Former Board Member of the UNGC and Former President of UNGC GCC Network. The Emirates Environmental Group (EEG) is a professional working group devoted to protecting the environment through the means of education, action programs and community involvement. EEG was formed in September 1991 and has since grown considerably in terms of its programmes and membership. EEG is composed of students, individuals, families, corporate members, federal and local government agencies, universities, colleges and schools, as well as reputed regional and international institutions. EEG is the first environmental NGO in the world to be ISO 14001 certified. EEG is viewed as one of the most prestigious environmental groups within the Middle East and prides itself on its environmental achievements. Mrs. Dana Al Mubaidin has more than twenty years’ experience working in corporate affairs in the Arab world and Africa with a focus on communications and building partnerships through media and stakeholder engagement. A Strategy and Communication Advisor to Various business, Mrs Al Mubaidin oversees a team of professionals in the conception and delivery of innovative and well-targeted, business-building PR, communications, and marketing solutions. This involves the creation, execution, and maintenance of communications and marketing plans, discovering insights to develop plans, and ensure flawless execution on all fronts. While the last ten years she has been based in Morocco, she worked extensively across the MEA region. Acted as the Regional Head of Communication for Uber Middle East and Africa. Prior to that she was leading the Communications for Microsoft, Nokia Dow and Coca-Cola in the MEA and sat on their regional leadership teams. An expert in Marketing, government relations, crisis management, media training, influencers’ management and of course CSR and community involvement. She worked with quite good number of international and local NGOs, US embassies, and as well as government officials and institutions. Dana acted as an ambassador for many international brands and worked with many leading global and regional agencies. She has been also an official spokesperson for a Coca-Cola, Dow, Microsoft and Nokia with National and international media as well as major international industry and government platforms. In addition, throughout her career, she has been a designated member of many crisis management teams as well as in-house media trainer Dana holds a Masters in Arts and Comms from the University of Missouri, Kansas City and a B.Sc. in Linguistics from Mutah University in Jordan. Dana Lives in Casablanca with her husband and three children.